How To Do Social Media! There are many ways that you can take advantage of photo contests and the avenues offered by Facebook in promoting your brand. If you have an online business and you want to introduce it to a bigger audience, photo contests can serve as a legitimate promotional campaign. 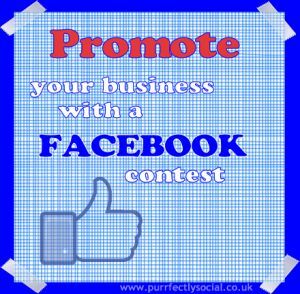 Facebook photo contests allow you to expand the reach of your company at very little expense. Here are five ways by which you can promote the photo contest that you have organized to facilitate brand recognition. If in the end you want more likes and shares of your page, and huge boost in Web traffic you’d pay attention to these guidelines. The best way to spread the word about an ongoing photo contest is people sharing the information to other Facebook users as well as in other social media platforms such as Instagram, Pinterest, Twitter and Google Plus. People must find the motivation to perform the additional task of hitting a couple of more buttons. They must be interested enough in the subject and deem it worth sharing. Receiving a reward or incentive can motivate audiences to share the information. You can ask a panel of experts in photography to judge the entries, but make sure that you also involve the public in the vote. Many reality shows on television have benefited from viewer participation. In the same way that these shows enjoy consistently high ratings, you can invite the public, in this case, Facebook users to vote for their favorite photo. You can even reward participants who share the page and spread the word on your behalf. Friends, fans and followers on Facebook become even more engaged if they are in the limelight. You can post a submitted fan photo as the featured photo of the week with the name of the photographer and a short description of the photograph. Making fans a part of a social marketing campaign is a strategy that always pays off. People love to see their names and they will spread the word about your campaign on their own when they share their featured photo on your Facebook page to their online social circle. The winner of your photo contest must be given star treatment. The best way to promote your fan page while giving the winner his or her well-deserved time at the spotlight is to use the winning image as the current cover photo. You can set a time for this special feature, but consider the fact that the winner will be sharing the photo and your page to friends and colleagues. They will also provide this new audience a link to your page on all the other social media sites that they maintain. This is s great opportunity for your brand to spread to a new audience, while allowing the winner to exploit bragging rights. Lastly, you will find increased participation and exposure if you tie your Facebook photo contest with a popular event (e.g. March Madness, the Super Bowl). You can spread the word about your promotional campaign further with the additional links. 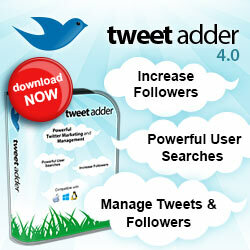 Advantages Of Using Twitter For Small Business!